The holiday season is here. And even if crypto prices are on the coal heap, you can still have fun spreading some holiday bitcoin cheer. For the bitcoiners in your life, this could mean a crypto-related gift as a token of solidarity. 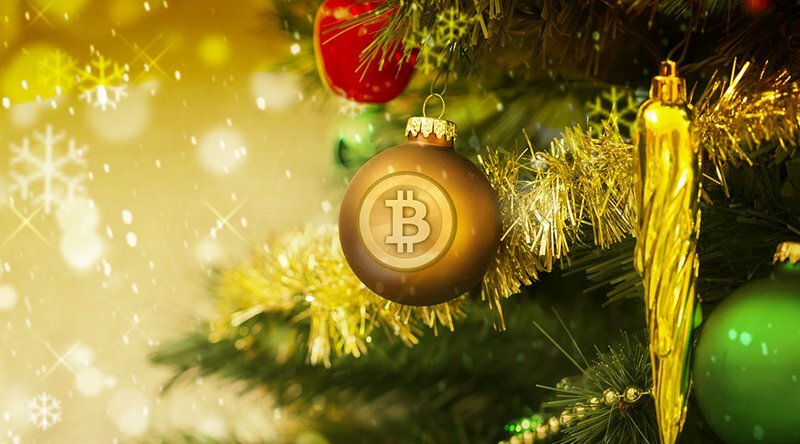 After all, what better way to commiserate with fellow HODLers than decking their holiday halls with bitcoin-themed gifts? What better way to say “we’re in it for the long haul” than with a hardware wallet? Or “I’ve got your back — literally” than with a bitcoin t-shirt? From wallets to node-hosting hardware to general swag, here’s a list of some of our favorite gifts for bitcoiners of all kinds — from newbies to early adopters, moon shooters to techies, and everyone in between. Of course, one of the best gifts you can give is bitcoin itself. Maybe take some time and walk a friend through the process of setting up a wallet and then send them their first satoshis. If you want to wrap up a bitcoin gift, consider putting some funds on an Opendime stick. Opendime is a single-use, disposable bitcoin hardware wallet. This USB wallet functions sort of like a gift card that you can load with bitcoin using your existing wallet — then you pass it on to someone else. The private keys are generated in the wallet itself and are never revealed to anyone, not even to the person who loads the wallet with funds. Using the public key, the recipient of the Opendime can still read how much is in the wallet by inserting the USB into a computer — they just can’t spend the funds until they break the seal and transfer the funds out of the wallet using the hidden private key. Once the seal is broken and the funds are removed, the wallet is rendered inoperable. These wallets are available for purchase in packs of three. At $40 for a pack, it’s an inexpensive, secure and easy way to give someone bitcoin, be it a large or small amount. A must-have for any enthusiast who has invested more than pocket change, hardware wallets are a prime item to give, even more so if the recipient is a newcomer. There are a number of options to choose from, and which wallet works best depends on the individual. The Trezor and Ledger hardware wallets are perhaps the most vetted, most widely recognized and longest-standing options out there. They support bitcoin, most major altcoins and Ethereum tokens built on the ERC-20 technical standard (not natively but in conjunction with ERC-20 compatible wallets like MyEtherWallet), so they can work for investors with diverse holdings. Ledger’s hardware wallets, the Ledger Blue and Ledger Nano S, cost $200 and $70, respectively, but Ledger is running a December sale on the two items for 30 percent off. Trezor’s line, which includes the Trezor One and Trezor Model T, go for roughly $94 and $204, respectively. A word of caution: There are some fraudulent vendors out there, so be sure to purchase hardware wallets directly from the company or via an authorized third-party site as recommended by Trezor or Ledger. Never buy one second-hand. Have a friend or relative who’s new to the space and needs some primers? Luckily for you, there’s plenty of quality literature on the subject. Few works have made as much of an educational impact as Andreas Antonopoulos’ series of informational texts. His The Internet of Money, Vol. 1 & 2 are formative books for novice and long-standing bitcoin enthusiasts alike. While these two books present a more holistic rundown of the crypto industry — from how a blockchain functions to the ramifications of decentralized currency — his Mastering Bitcoin is a more in-depth technical guide on Bitcoin specifically. Mastering Bitcoin comes in either digital or paperback, for $16 or $22, respectively, The Internet of Money, Vol. 1 & 2 can both be purchased for either $6 or $12, yet again depending on whether the format is digital or paperback. If you’re looking for a less technical primer on Bitcoin specifically, Saifedean Ammous’ The Bitcoin Standard ($13-18) was released this year, and reviews Bitcoin’s nearly 10-year history, its impact and what bitcoin’s disruptive potential could mean for modern finance. For other informational primers, the household name For Dummies series, naturally, has a Bitcoin for Dummies ($8.00) and Blockchain for Dummies ($18.00) because nothing will make you feel quite as dumb as your first attempt to figure out what a merkle root is, how transactions are ordered in blocks or how all of this new-wave fintech works anyhow. Released in September 2019, the Casa Lightning Node is the joint work of Lightning Ramp and Casa, two crypto development companies who have been channeling their energy into developing more usable and secure Lightning Network products. The node combines the UI-friendliness of Lightning Ramp’s software with the security strength of Casa’s multisignature private key management. Unlike bootstrapping a Lightning Network node from scratch, the Casa Lightning Node has a low barrier to entry. It comes pre-synced with the Bitcoin blockchain and requires no coding experience to set up, and its dashboard makes managing the node and its related payment channels easy for less tech-savvy users. Interested? You can purchase a node for $300 on Casa’s website or its OpenBazaar store. Ever wish you could bring your Crypto Kitties to life? Well, you can’t actually animate the pixelated felines out of their digital confines. But, if you’re looking for a physical alternative to illustrate to your friends and loved ones in real life that you bleed bitcoin, you’ve got at least one other option. CryptoKaiju is a toy company created by Oliver Carding, the founder of crypto news site CoinJournal. Carding’s newest venture features a line of vinyl, crypto-themed toys, all of which come with their own ERC-721, non-fungible token, which keeps tabs on each toy’s unique set of traits (not unlike their computerized predecessors in Crypto Kitties). At the time of writing, the company’s $55 flagship Kaiju, playfully named Genesis after Bitcoin’s genesis block, is nearly sold out (the initial rollout being limited to 130 toys). But if they’re sold out by the time you want to pull the trigger, don’t worry! The line will have more Kaiju in the future, and it also offers 6– or 12-month subscription packages that will deliver a new toy each month to its recipient (prices vary from $155-600 depending on the subscription package). CryptoKaiju’s online shop can be found here. There’s no exhaustive list of online stores that carry Bitcoin-related garb and other various trinkets. All Things Decentral, BitcoinShirts and Bitgear all feature a variety of shirts, sweaters, mugs and other items for you to choose from. Redbubble and Etsy also list swag from a wide range of merchants and independent artists. Blockstream’s official store has its fair share of Bitcoin regalia too, complete with stickers and earrings (and to make you feel extra cool, you can even pay with Lightning).